The summer holidays will have officially started at the FC Barcelona academy on Monday 26 June, immediately after the second leg of Barça B’s playoff against Racing Santander in search a berth in next season’s second division, as well as the U12’s participation at the LaLiga Promises international event in New York. It’s been another great system for the FCB youth teams, with 17 leagues, four Catalan Championships and two LaLiga Promises tournaments conquered by the boys and girls in different age groups. No wonder the slogan going round at the moment is La Masia batega amb força (La Masia is beating strong). 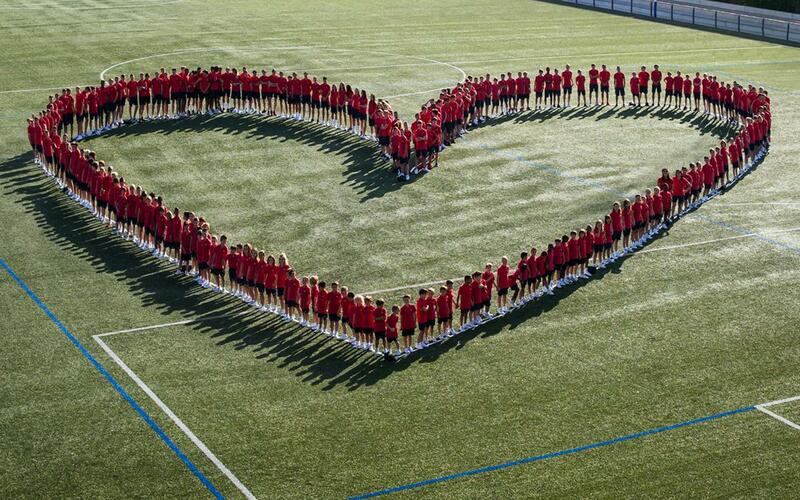 On Wednesday 14 June the triumphal campaign was celebrated in style with the traditional end-of-season barbecue and a photo of all the teams together on pitch 9 at the Ciutat Esportiva – forming a heart in symbolism of the pumping beat of the academy’s pulse. It’s totally reassuring for Barça fans far and wide to see so much future talent coming out of the youth system – and players that are drilled and versed in the famous methodology and style that so characterises the club from the youngest level right through to the world famous first team.